Search using the best tools available! Are you ready to experience the BEST real estate search service? We strive to provide you the most comprehensive information resource, local knowledge and up to the minute property listings. Our goal is you having an OUTSTANDING search experience! This system offers you more search options than even our Multiple Listing Service or national portals such as Zillow, REALTOR.com or Trulia! Super Search – Search like Google! The search box is a lot like Google where you can type just about anything and find it. If you don’t already have FULL VIP Access – click this box and fill out this simple form. Some of this sacred info is only allowed to be accessible by the public if you have to log in to see it. Don’t worry – I won’t SPAM you. If you know the name of an elementary school, middle school or high school, my system will not only show you the exact homes for sale that fall into that attendance zone, but also draws an outline on the map so you can exactly see the location of the school boundary. 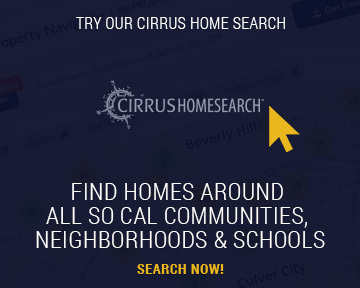 If you know of a subdivision, condo complex, neighborhood, community or zip code that you want to search listing for, type a few of the letters in the SUPER SEARCH box and my system will go to work to match what you’re looking for. If you don’t find what you’re looking for, – Contact me right away so I can work to add it. Push “FIND ME” button on map – instant GPS search without an app! This one button turns your mobile devise into an interactive search tool. Whether you’re driving around town or on the golf course, instantly find homes around your location. Bookmark this page on your mobile and you don’t have to download an app. Share any property you like with your friends in 1 simple click on each listing. Or you can save it, send it by email too. Sign up for an instant “hotlist” of properties based on your criteria. Zillow uses syndicated listing data, meaning it may not be fresh and often times shows properties that have sold and are no longer on the market. They make money by selling advertising not real estate. Trulia is the same model as Zillow – in fact they just merged with Zillow so essentially they are one in the same. REALTOR.com does usually have the most accurate information of the three, but because they have to make their site work across the entire USA, don’t always offer the deep LOCAL information and SPECIFIC local knowledge that I provide as your local expert. Can we be your guide?